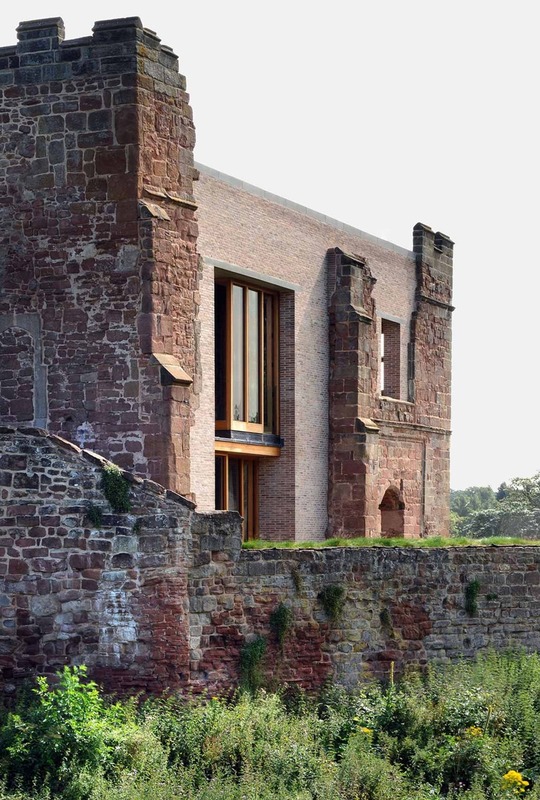 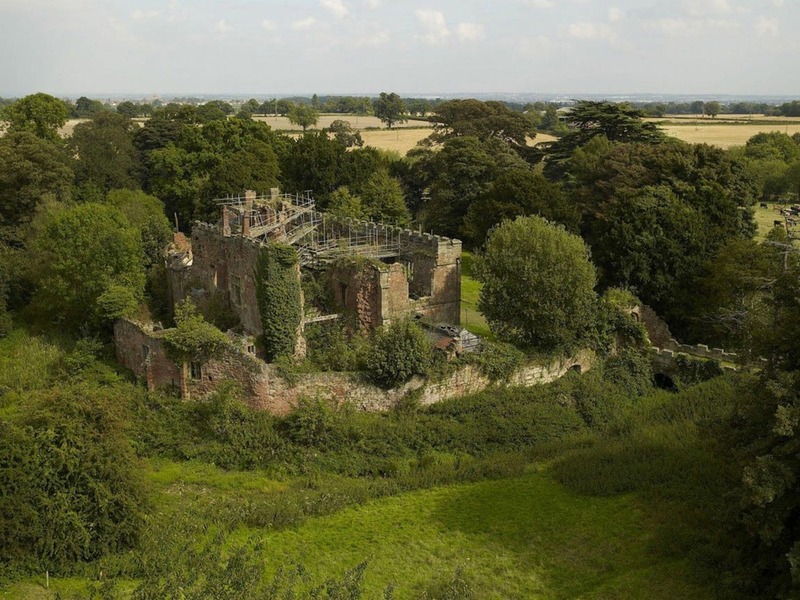 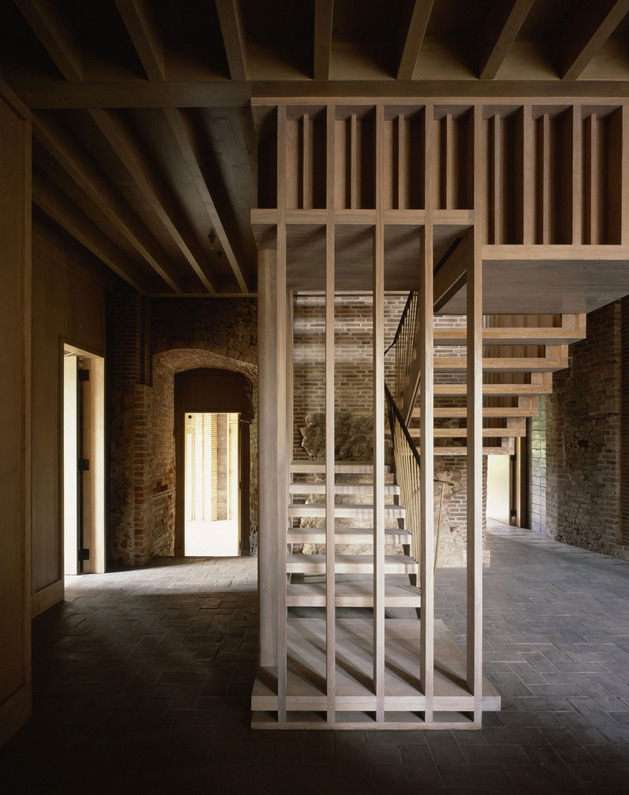 This historic castle house designed by the UK’s Witherford Watson Mann Architects here in Astley, England isn’t so much a meeting of old and new, as it is a lesson in total opposites. This one-of-a-kind countryside home, completed in 2012, was the recipient of the 2013 RIBA Stirling Prize, an award well deserved if you ask us. 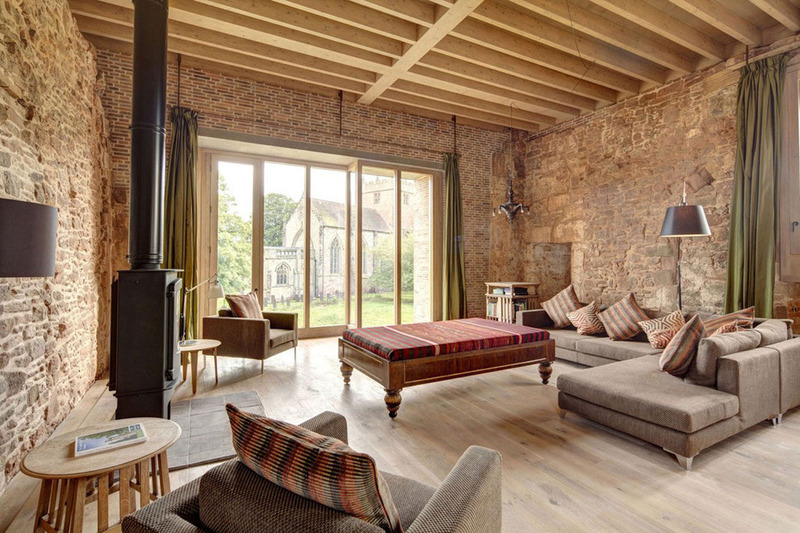 The rustic house style is a stark contrast between medieval and modern – visible in the preserved cobblestone walls of the Tudor and Jacobean architecture, versus the clean new brick and exposed timber frames. These elements represent opposite ends of the spectrum, landing somewhere between castle and farmhouse with a modern twist. 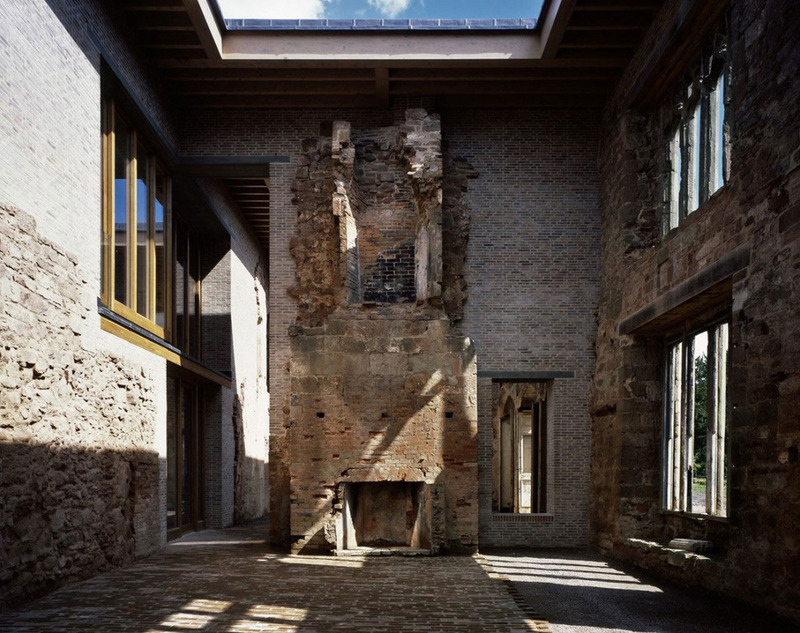 Here’s how the architects breathed new life into this ancient site. 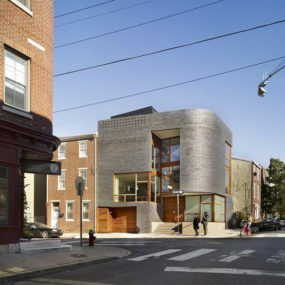 The old and new architecture are juxtaposed side by side, each one accentuating and strengthening its counterpart. 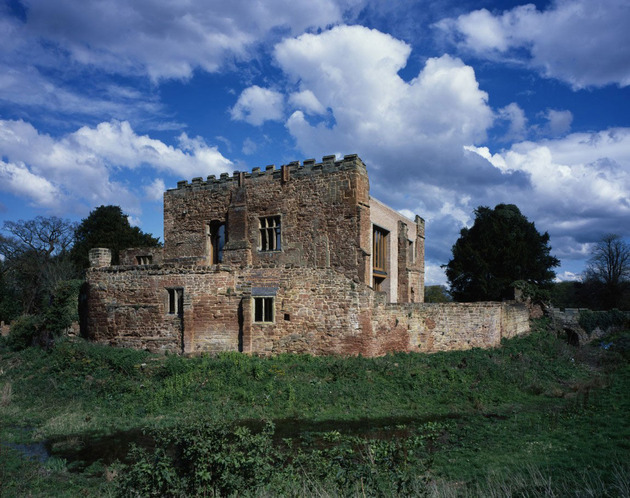 The dilapidated old structure was left in its ragged form, with the new walls taking shape around the ruins, so to speak. 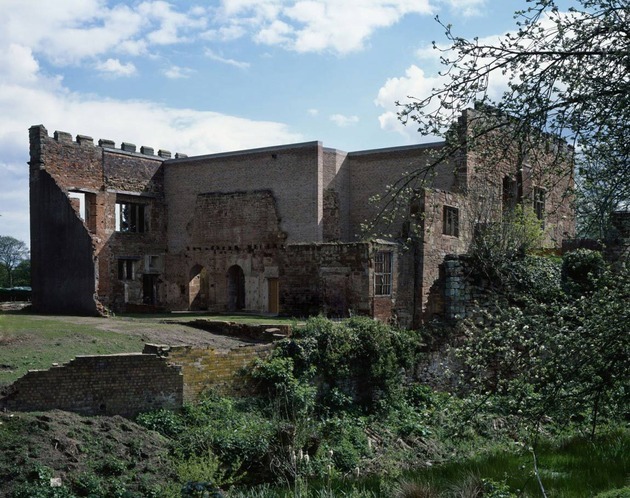 The castle’s original Tudor and Jacobean wings were left intact (as much as they were, anyway) and are now used as outdoor rooms. 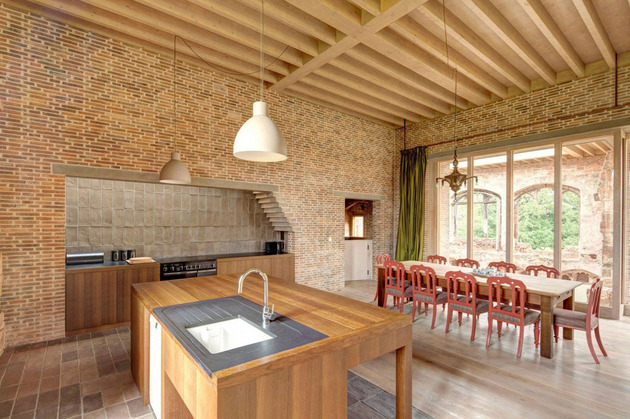 The open ceiling is an understated yet stunning feature! 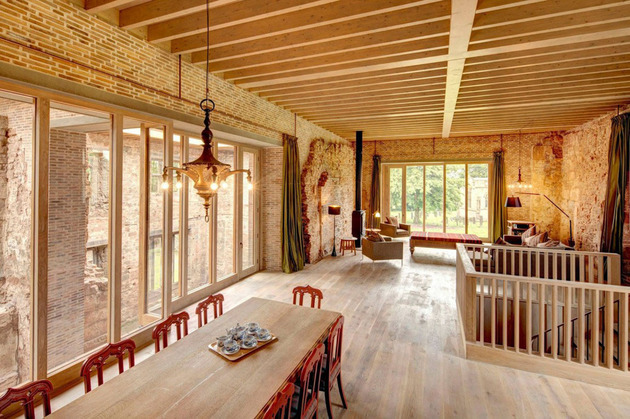 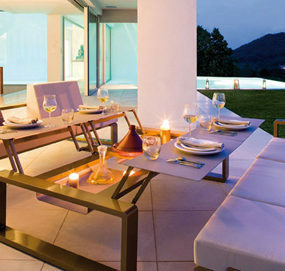 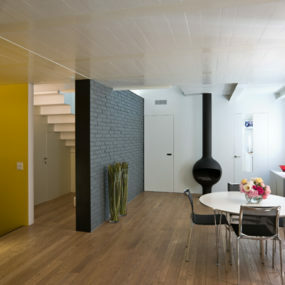 Interiors are a refreshing take on history and modern living. 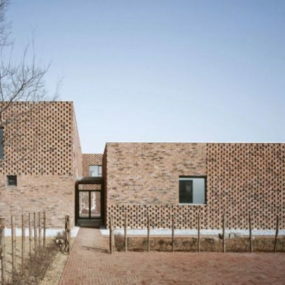 The uneven stone tiled floors scream rustic charm, complemented by the weathered brick walls in the foreground, supported by the new construction bringing up the rear. 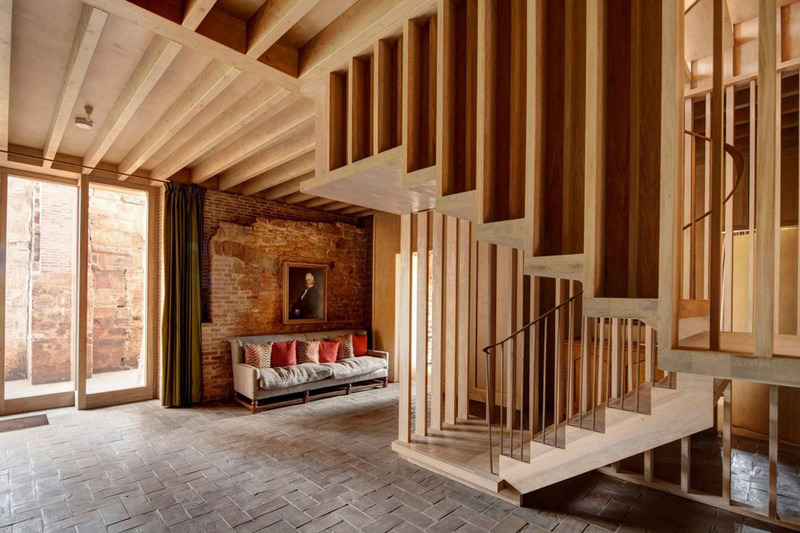 The complex woodwork of the staircase and ceiling showcase the art of carpentry in conjunction with architecture and creativity. Massive windows flood this brick-enclosed space with natural light and green scenery of the surrounding countryside. “At the dining table, you look out from twelfth and 21st century construction to 15th and 17th century walls – the dialogue across the centuries frames conversations between friends,” according to Witherford Watson Mann Architects. 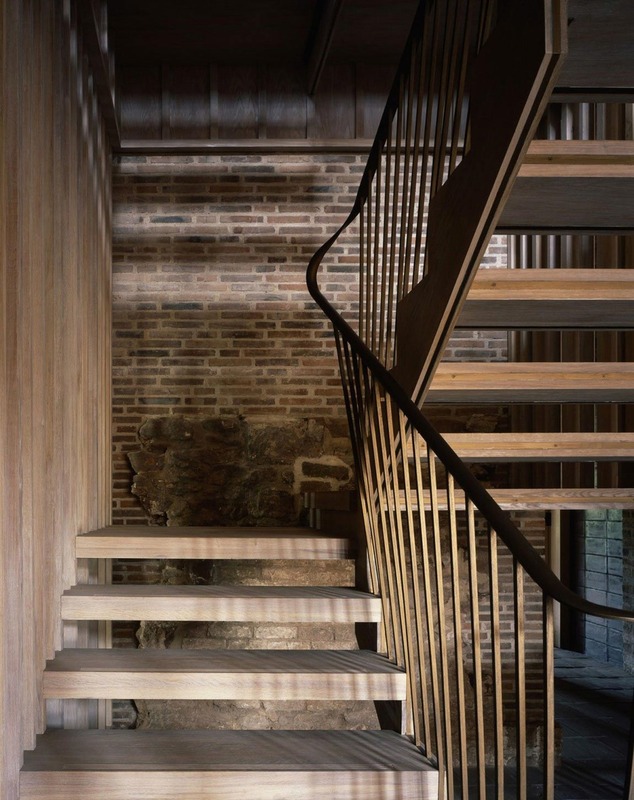 Down the staircase, the lower ground level has a more medieval feel to it, with a dark and brooding character.The new timber staircase is physically your way to the new upper level, but visually it also ushers you into the new construction overhead.